Should Your Small Business Accept Bitcoin? Home/Finance/Should Your Small Business Accept Bitcoin? Bitcoin will mark its third anniversary this year. There are currently more than 100,000 businesses that accept the cryptocurrency, including such giants as Overstock.com, Microsoft and Dell. You’ve heard of Bitcoin and maybe you’ve even had a bit of interest in seeing if it could work for your company, but you want to know more. Keep reading to see if your small business should be accepting Bitcoin. 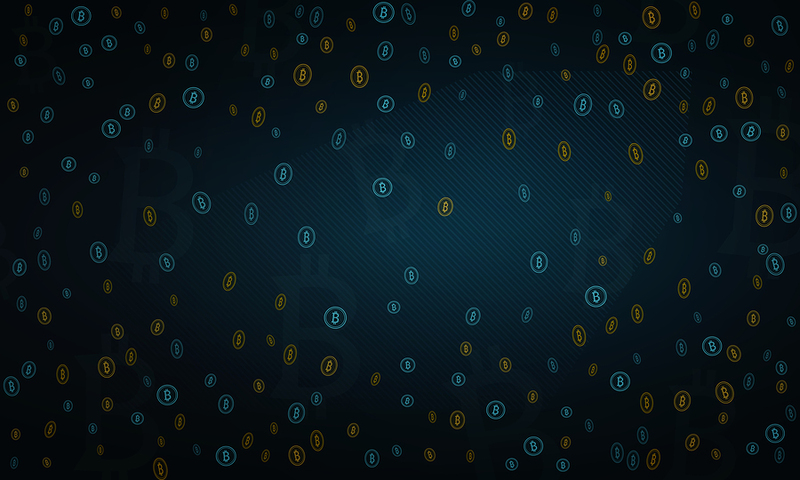 Bitcoin is a type of currency that is entirely digital. It was invented in 2009 as a person-to-person exchange. There are no financial institutions, no banks, and no government bodies acting as the go-between. Your bitcoin wallet is kept completely safe thanks to a system called blockchain. Because the currency is digital, it is easier to exchange, not to mention cheaper and faster. The positives of Bitcoin all stem from the fact that it is decentralized. You don’t have to rely on a bank or other financial institution to process any of your financial transactions. This is all thanks to blockchain. If you are paying a percentage of each transaction in fees, you’ll be happier with Bitcoin. The transactions cost anywhere from absolutely nothing to one percent. You read that right. You can send and receive Bitcoin without any fees. You don’t pay a bank to do anything, because there is no bank. You can, though, pay a transaction fee that is very small if you want your transaction sped up. Most people find that Bitcoin moves fast enough and forego paying this extra fee. Let’s say that you are okay with paying the fees your bank charges. It’s the wait time that is getting to you. When someone pays you, whether by check or credit card, you will find the money in your account marked as “pending.” That’s because the transaction has to be verified. There is no centralized institution controlling Bitcoin transactions. That mean that you get your money faster. Unlike a traditional bank transaction, you can accept a Bitcoin payment, grab a coffee and then have your money in your small business account. It’s pretty fast. What if you conduct business overseas? You have to pay exchange rates, transaction fees or both. Bitcoin, on the other hand, is considered a global currency. There are no restrictions as far as borders go. If your customer uses Bitcoin and you accept it, or vice versa, you are covered. What if a customer accepts your services or product and then chooses to dispute their credit card charges? You could be in for a battle to keep your money. Bitcoin is final. If you tend to have issues with customers or clients disputing credit card charges, you should take a closer look at accepting Bitcoin. Bitcoin is also an investment. The value of Bitcoin fluctuates. That fluctuation could be a drawback, but it could also work in your favor. If you sit on your Bitcoins for a bit, you may be able to cash them in when the value increases. It really just depends on timing. That said, you also stand the chance of trading in your Bitcoins only to find they are valued higher the next day. The good news is that the value doesn’t fluctuate too dramatically from day to day. Like with everything in life, there are negatives to balance the positives. Bitcoin is no exception. The digital currency isn’t right for everyone. Some companies have had major success with the digital currency while others have tried it and left it behind. Here’s why you may want to pass it up. There is no government support for Bitcoin. That also means that there is no protection, in essence. This could be a frightening prospect for some people who are used to the traditional form of banking. For example, if your bank suddenly shuts its doors tomorrow, your money is protected. Should Bitcoin fold, however unlikely, you aren’t guaranteed anything. Bitcoin is more stable now than it used to be, but it isn’t overseen. When the economy demands it, the Federal Reserve raises or lowers interest rates. There is no such oversight with Bitcoin. If the market takes a downturn, utilizing Bitcoin could ultimately hurt your business. If you want to accept Bitcoin in your small business, it is strongly advised that you talk with an accountant or bookkeeper first. It can be difficult to make projections for changing government regulations or large fluctuations. Figuring out taxes, planning financial statements and determining prices can all be a bit tricky. Like anything else you’ve done with your small business, accepting Bitcoin should be something that you do only after seriously weighing the pros and cons. If you aren’t well-versed in the currency, speak to someone who is. If you aren’t sure how to plan for its fluctuations, speak to someone who can. Some companies have utilized Bitcoin to their advantage, and others have found it too risky. It is difficult to say how you will feel about the currency without knowing your specific situation. Bitcoin isn’t without its challenges, but that doesn’t mean it should be overlooked. It only means that you have to plan for its use. Figuring out whether or not to accept Bitcoin is only one part of running a small business. At Company.com, we can help you optimize many of your daily processes in the new year, from payment processing to hiring. Contact us today to learn more about how we can help your small business thrive! What Actually Is Blockchain, and Do I Need It? What Kinds of Loans Do Small Businesses Look For?